Fine Art Images from the Art Renewal Center. Art images have been categorized on the Libraries of Hope website for your convenience. Folk Music at Smithsonian Folkways Recording. This site provides free lesson plans and learning resources about folk music from countries all over the world. American Folk and Traditional Music with Lyrics, Midi Files, Tune Information and History behind the folk songs and ballads. With folk songs arranged by time period. Children's music on lds.org is appropriate for all christian religions and is available online for free. WonderMap: Great resource provided as a download or CD Rom that allows you to customize maps according to the region you are studying. Available from Bright Ideas Press. Also available at Rainbow Resource. 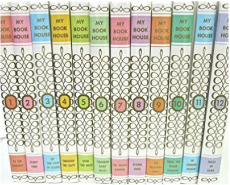 This set of books was a part of my childhood, and instilled in me a love of reading that persists to this day. 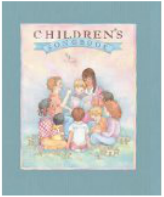 Each volume begins at a grade level---One being the easiest to Twelve being suitable for high-school level reading. There are selections from some of the finest writers, such as Jonathan Swift, Robert Louis Stevenson, and Rudyard Kipling, as well as fairy tales and folk legends from all around the world, both East and West.